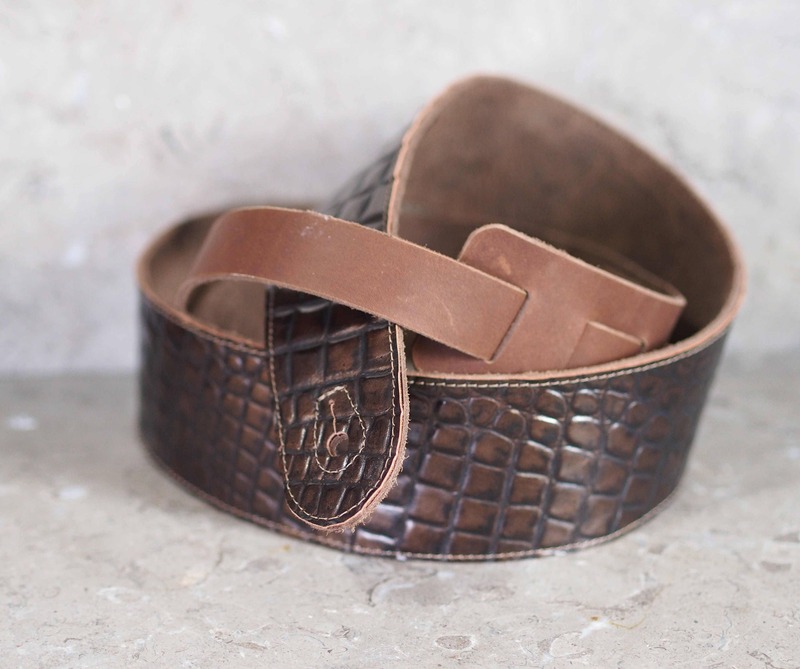 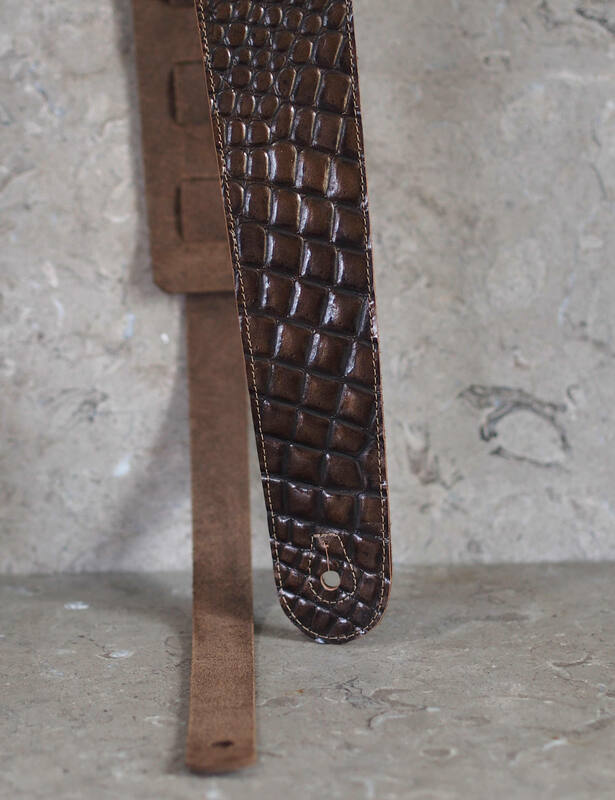 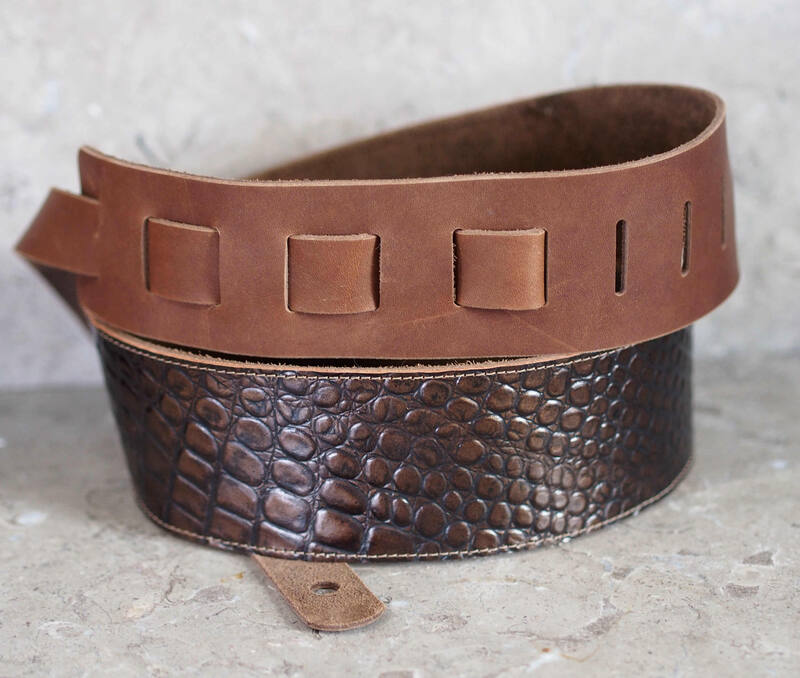 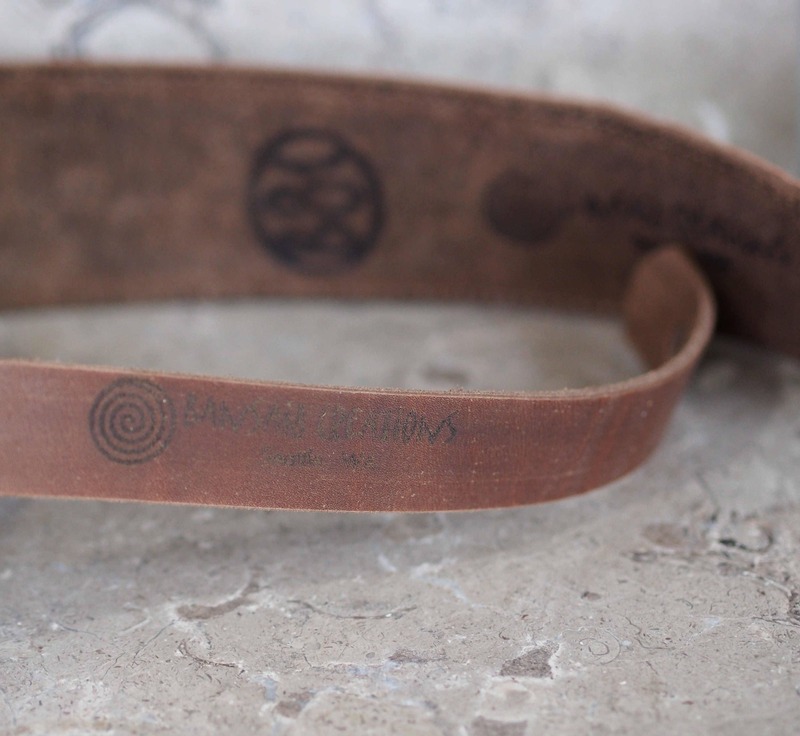 This all leather guitar strap is made with a deep scale pattern embossed cowhide that has a bronze finish, which goes nearly black between scales, and this is layered over my chocolate brown cowhide strap. 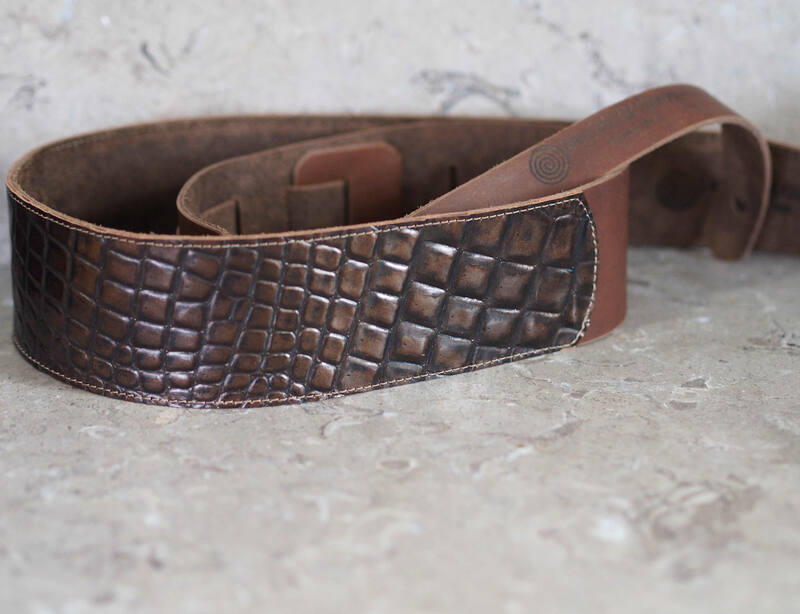 This is likely patterned after alligator pattern, but there is no "head", as what I refer to as "horn back" 'gator on other listings. 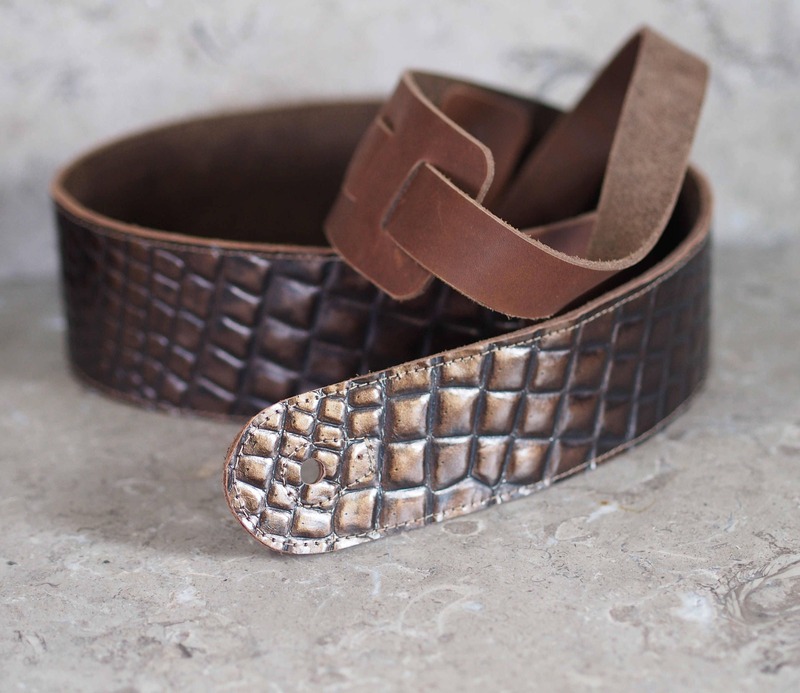 This has depth to the coloring, as well as almost a bubble feel to the embossing, though these scales do not pop like bubble wrap! 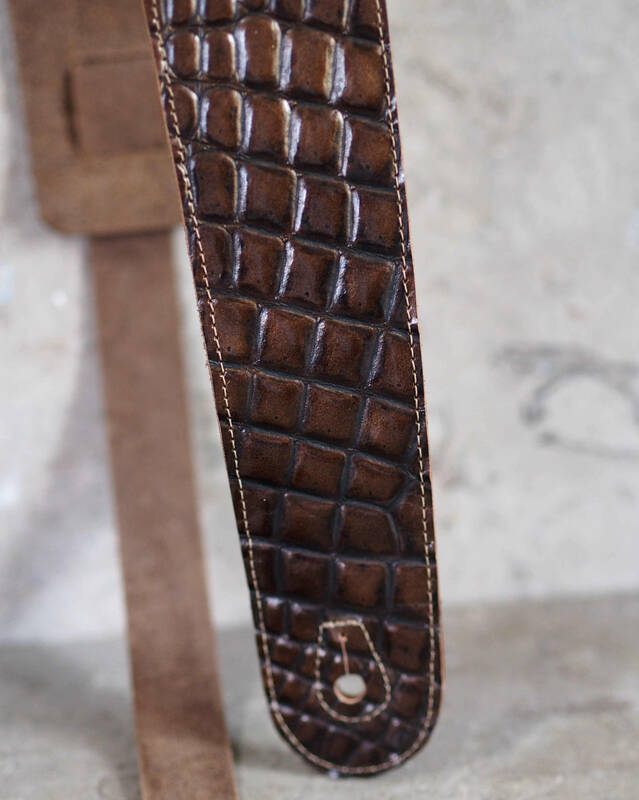 This is applied over a supple chocolate brown cowhide (which has its own listing), glued & edge stitched, leaving the adjustment slot area to show off the main strap cowhide. 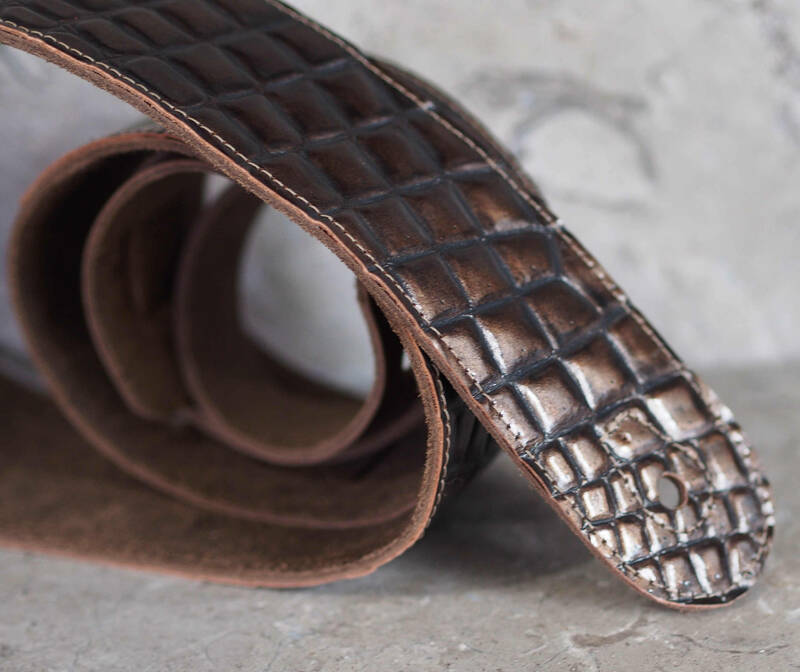 The 1" wide adjustment strap is made with the same leather as the main strap so it can weave through the adjustment slots easily, but it is still firm, and will not stretch. 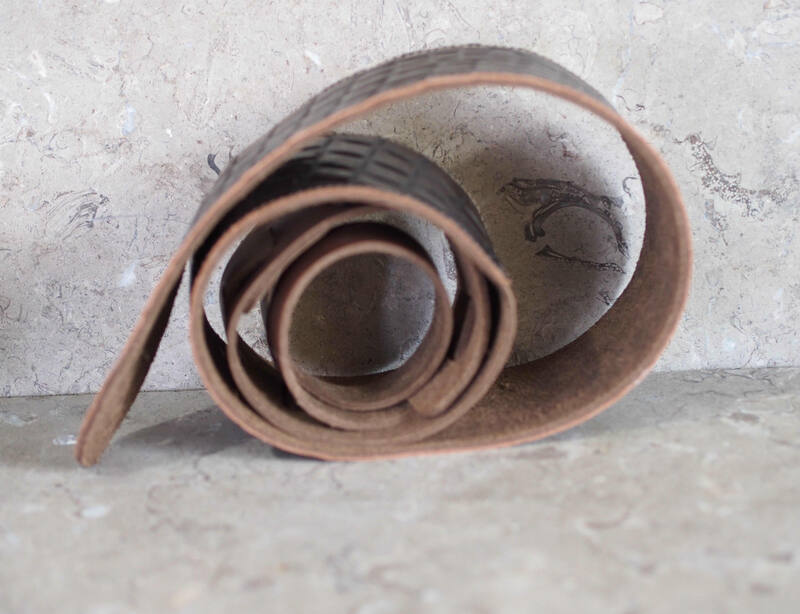 The edges are trimmed with a small radius bevel tool to soften the look. 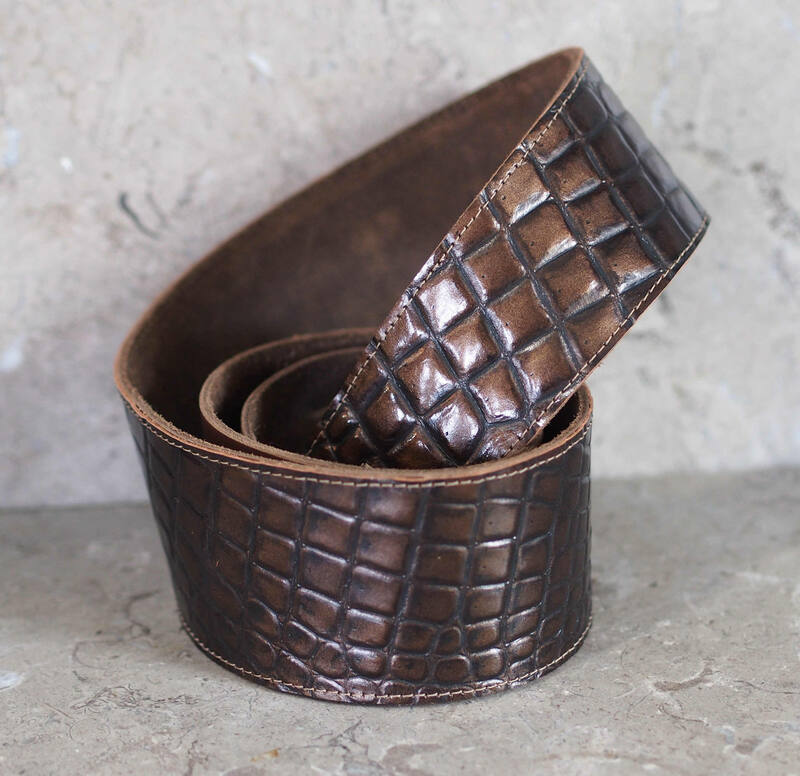 The hide is through-dyed, so it is consistent dark brown on the edges as on its soft suede split underside.